At Aston Homes, we design and carefully curate floorplans to suit all kinds of families. As a result, our team understands that there are certain features that will compliment some lifestyles better than others. 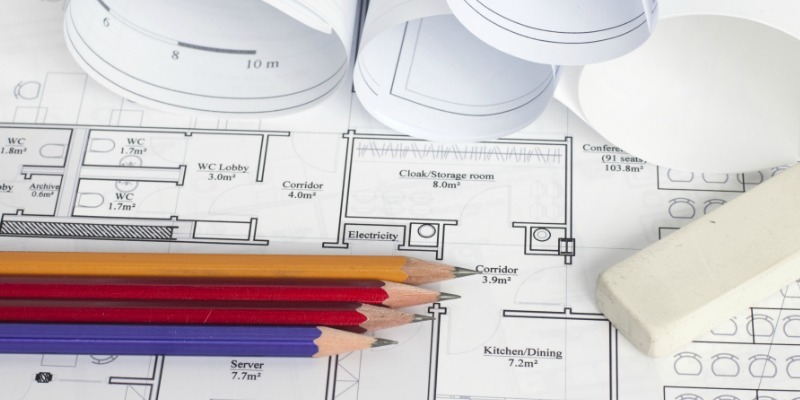 Whether you’re a first home-buyer, an established family, a mature couple or a retiree, there are a number of key considerations you should take into account when selecting the floorplan for your dream home. In today’s blog Aston Homes’ draftsman, Marco Greco, provides his top tips on how to select the right floorplan for you. We hope these insights help you navigate this complex decision with greater clarity and are ready to help if you want to talk it over in finer detail. When selecting a floorplan it’s important to base your decision on how the layout flows and functions, and whether it’ll work with your daily activities. The layout of your floorplan should align with your movements and any routines that your family enjoys. If you like to pop the washing on first thing in the morning – ensure that the laundry room is away from your children’s bedrooms to avoid waking them prematurely. If you regularly entertain, it’s ideal that your alfresco acts as an extension of your living zone. A floorplan that’s incredibly open might be appealing initially, but if your teens are binge-watching Stranger Things in the living room, this layout could make it hard for you to concentrate in the nearby home office! Select a floorplan that will comfortably house your family when considering potential growth – if that’s on the cards! Assess how many bedrooms you will require for your little ones and how many bathrooms are enough to adequately accommodate visiting friends and family. For first home-buyers and couples, a marvelous master bedroom and spacious open plan living will make for a peaceful, contemporary lifestyle. Alternatively for upsizers, established families with lots of kids, or those hosting large events regularly, an generous floorplan will be necessary. As well as multiple spacious bedrooms, ample dining space and bathrooms a-plenty – a theatre room or luxurious living area could add that extra something. Consider how much elbow grease you’re willing to dedicate to the upkeep of your home. For the best in low-maintenance living, abundant open space, clean lines and stone finishes may work best. Green thumbs looking to cultivate a lush garden to relax in year-round will appreciate ample yard space. Choose a floorplan that will help you to live your best life! Each homeowner has their own unique style and choosing a floorplan that compliments your taste is essential. It also pays to consider your existing furnishings and the style of home you’re looking to create. The last thing you want is to discover on move in day is that your much loved and recently purchased french door fridge with ice-block maker won’t fit into the fridge cavity of your new kitchen. The goal is that old and new can fuse together perfectly. Now for the fun part – it’s time to make decisions! Our team are happy to chat through any concerns you may have about our floorplans and facades. Contact us here.